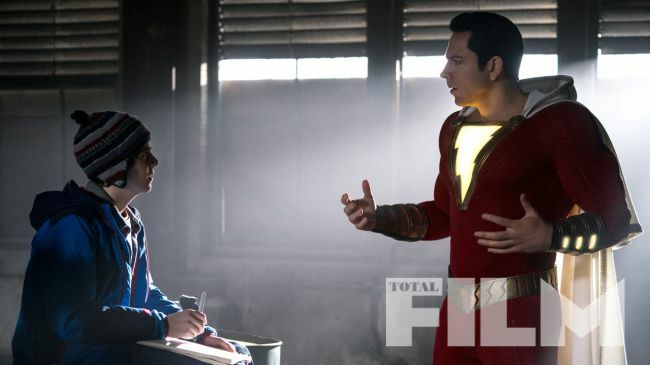 New images for the Shazam! 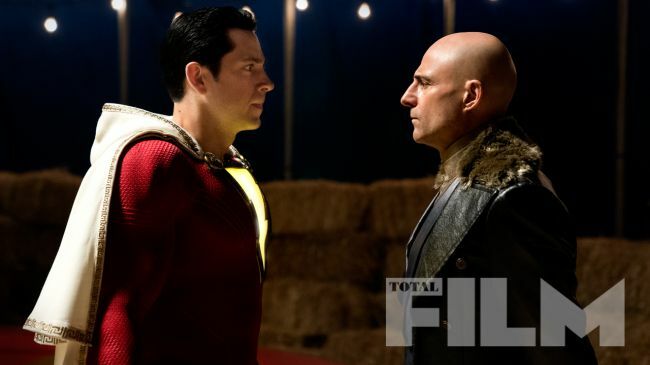 movie has been released as Zachary Levi faces off against the villain of the movie, Doctor Sivana, played by Mark Strong. Another image released also features a look at the glowing lightning bolt chest symbol as Zachary Levi is paired with best bud Freddy, played by Jack Dylan Grazer. 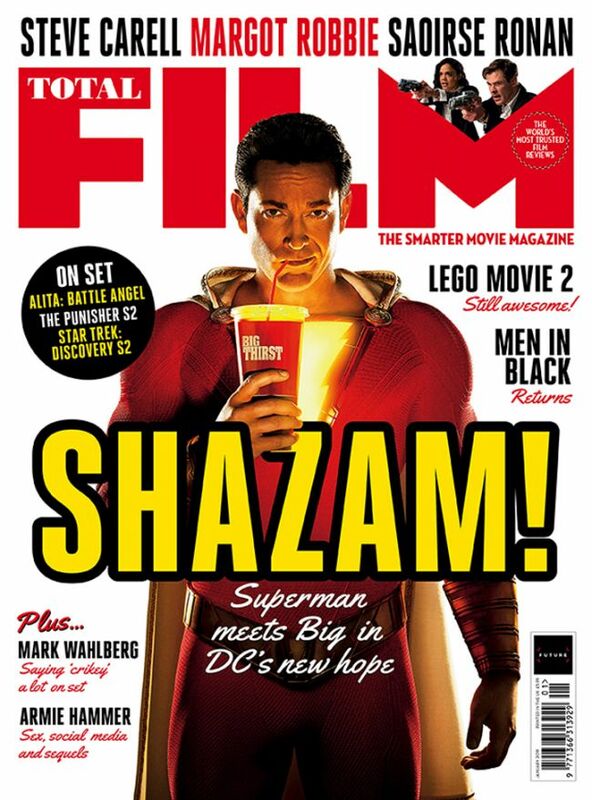 Also check out the cover of Total Film magazine. Zachary Levi also wouldn't mind seeing Shazam team with the Justice League.